My friend, Dee Ann, who is also an SU Demo in my group, just sent me some pictures of awesome cards she made. Here are 2 of my favorites. 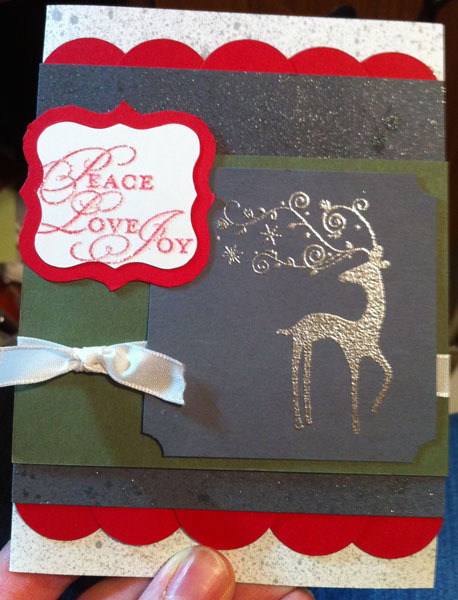 She used Smooch Spritz on the reindeer card she made with the Dasher stamp set and if you look really closely on the card made with the Because I Care Stamp Set, you'll see that she stamped the flower several times, cut out each piece, and layered them on top of each other. Very creative, Dee Ann! Nice! Click each thumbnail to view full-size. 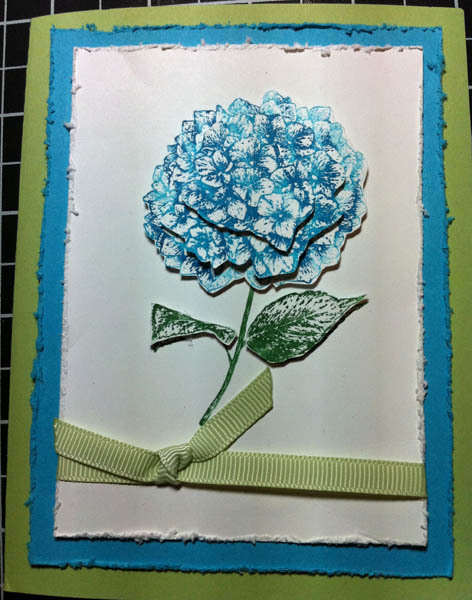 We have such a good time as Stampin Up Demonstrators! If you enjoy crafting OR are just looking for a business where you can make some extra money, click on the "Join My Team" link at the top of the page…we even have a special going on right now where you can get a free tote!